I'm loving statement necklaces at the moment, I love throwing them on with simple outfits to make the outfit stand out more! I was contacted by The Happiness Boutique, a Berlin based company which makes beautiful jewellery including earrings as well as lots of statement necklaces! 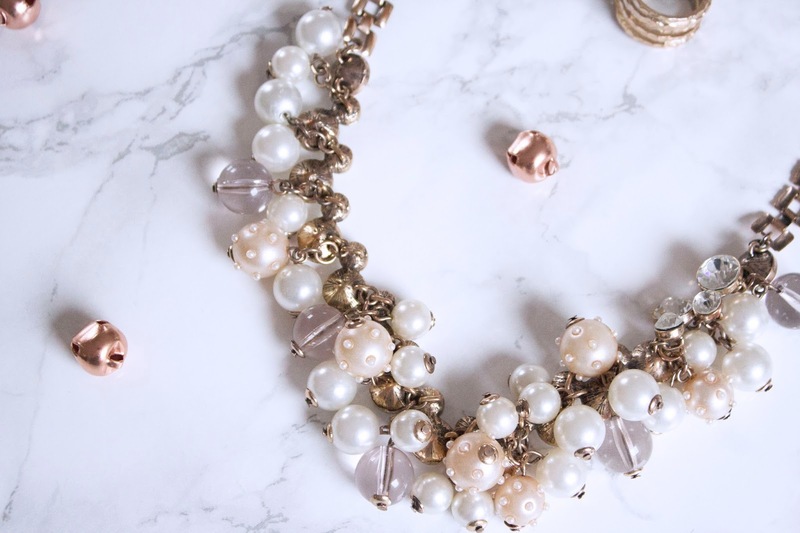 The one I chose was the Pearl and Diamond Statement Necklace as I love the neutral cream and pale pink shades, they go with so many different outfits so it's super easy to throw on with anything. 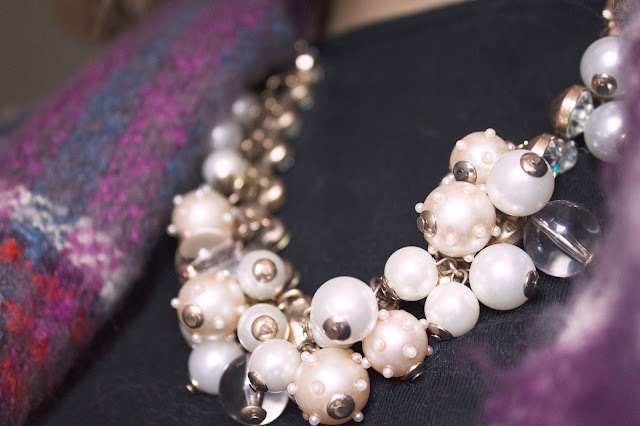 This is a really pretty and elegant necklace, I sometimes wear it with the crystals facing outwards or if I want a more understated look, I turn it round so only the pearls are on show; sort of a two-in-one necklace! The Happiness Boutique offer free shipping, great for those of us (me) who hate paying postage charges so I love that they do free shipping on orders! They also run a fantastic rewards program where you can earn points in a number of different ways including buying items, reviewing items, signing up to their newsletter and tagging them in your photos! Through their rewards system you can receive free gifts! Have a look at their website here!